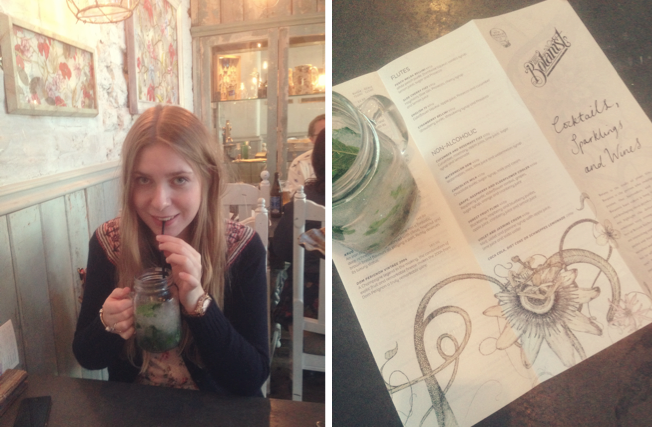 The Botanist is, hands down, my new very favourite restaurant. The decor is absolutely spot on & is so beautiful and fresh, the music is also really great - playing all the 90s classics and they even have a live performance every evening in the bar. The drinks are out of this world! The drinks menu is really fantastic, I had a non-alcoholic cocktail comprising of mint, violet and jasmine syrup with apple juice, lime juice and soda water. Called 'Violet and Jasmine Crush' is was perfection. Now moving onto the best part - the food! Presentation alone, it's fantastic. 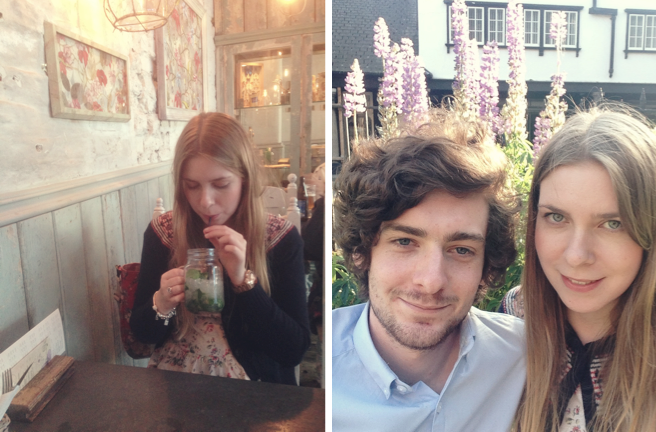 Being a recent convert to vegetarianism, I can often find it really difficult to choose a meal on the menu, but here I was spoilt for choice! We started with sharing a Home Made Humous Board with crudites & flatbread. It was gorgeous (and didn't feel guilty at all because it looked & tasted healthy). For mains... WOW. 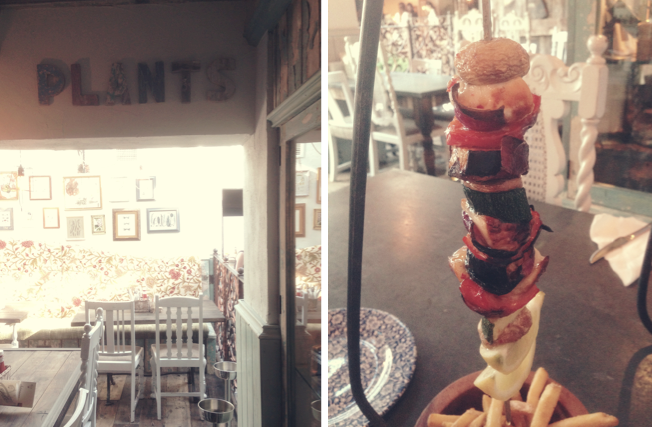 We both had Hanging Kebabs sopped with sweet chilli, ginger & garlic butter, with seasoned fries. 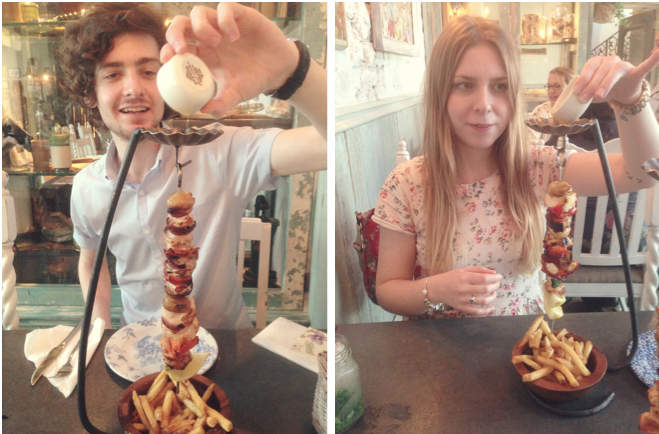 Danny had chicken and I had halloumi & vegetables. I can't even describe how amazing this was, the sauce was poured down the top of the kebab so it dripped down, gathering flavour, onto the bowl of heavenly seasoned fries. The flavour was absolutely gorgeous! 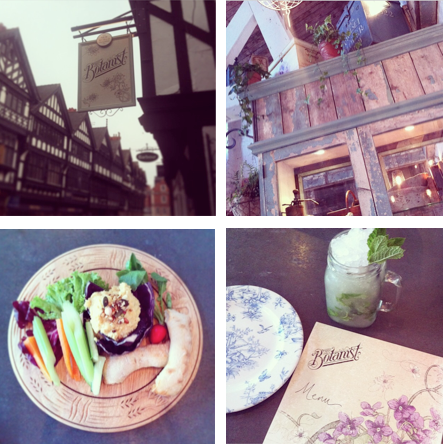 Definitely check it out if you're in Chester, I hear the breakfasts and lunches are just as lovely too! It's on St Werburgh Street - just next to the Cathedral.